This Post has already been read 1091 times. 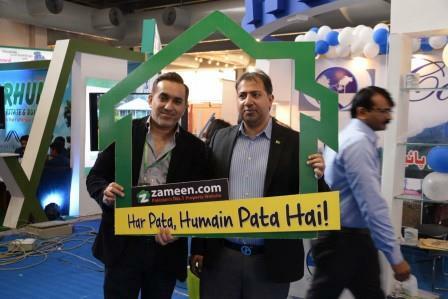 Zameen.com, Pakistan’s premier real estate website, commenced its trademark event Zameen.com Property Expo 2016 in Lahore on Saturday at the Expo Centre, Johar Town, Lahore. The biggest two-day realty affair of the year brought renowned real estate developers, agents, investors, buyers and sellers under one roof. The event was inaugurated by the honourable chief guest Mian Rehman Aziz, Regional Chairman and Vice President of the Federation of Pakistan Chambers of Commerce & Industry. Zaitoon Group, Fast Marketing Consultants Pvt Ltd, Indigo Developers, Vertex Marketing, Athar’s Marketing Network, The Springs Apartment Homes, Square One, Sheranwala Heights, Icon Valley, DHA Bahawalpur and DHA Multan were among the prominent exhibitors. 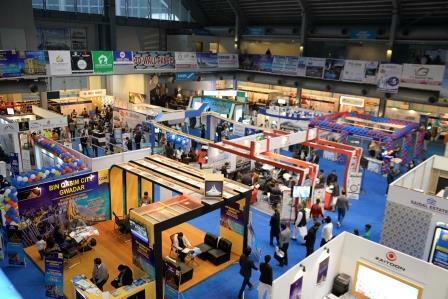 Other than the real estate companies, the impressive line-up of exhibitors also consisted of renowned home management firms, furniture retailers, energy solution providers and many others. A great deal of invaluable information was exchanged between exhibitors and visitors and many on-the-spot deals were closed. Zameen.com’s wildly popular Wheel of Fortune continued to spin throughout the day to offer exciting giveaways, while all the food stalls set up at the expo remained busy in serving visitors with scrumptious meals. Further amplifying the visitor experience, the iBooth (photo booth) drew huge crowds. “We feel proud to have put on a real estate expo on such a large scale. When we said that the Zameen.com Property Expo 2016 Lahore (December) would be the biggest realty affair of the year, we actually meant it. The turnout at the event was magnanimous,” said Zameen.com CEO Zeeshan Ali Khan. “We don’t plan to stop here. We are all set to take Islamabad and Karachi’s property markets by storm with our upcoming expos in the metropolises,” he added. Zameen.com was established in 2006 and is now regarded as the face of the entire real estate industry. With over 750 employees, the portal has offices in 11 and presence in 30 cities of Pakistan. It boasts more than 11,000 registered agencies and a monthly traffic of over 3.5 million visitors.